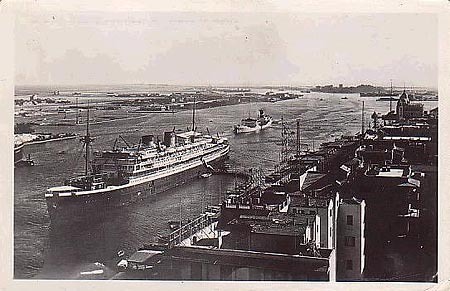 This page is devoted to postcards and photographs of the 1930 Nederland Line Johan van Oldenbarnevelt. 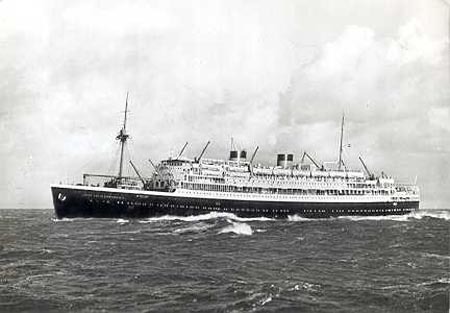 She operated on the Amsterdam-East Indies service until used as a troopship during WW2. 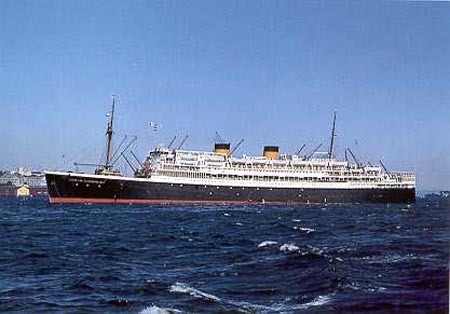 Returned to Amsterdam-Indonesia service in 1946. 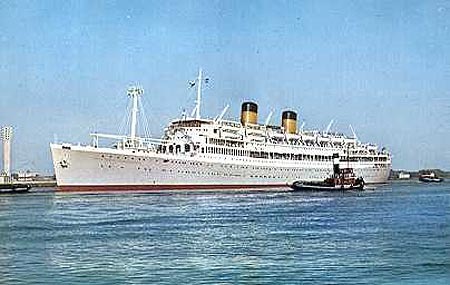 Refitted 1959 for round-the world service with new funnel tops, but sold in 1963 to the Greek Line as Lakonia. Destroyed by fire the same year. 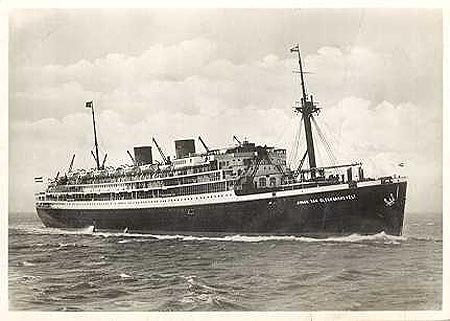 Johann van Oldenbarnevelt operated on the Amsterdam-East Indies service until used as a troopship during WW2. 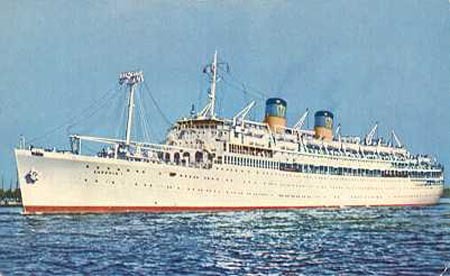 Returned to Amsterdam-Indonesia service in 1946. refitted 1959 for round-the world service with new funnel tops, but sold in 1963 to the Greek Line as Lakonia. destroyed by fire the same year. 89: Official Nederland advance art card of Johann van Oldenbarnevelt. Official Nederland photographic card of Johan van Oldenbarnevelt. C.R.Hoffman, Southampton, photographic card of Johann van Oldenbarnevelt (19040 grt). 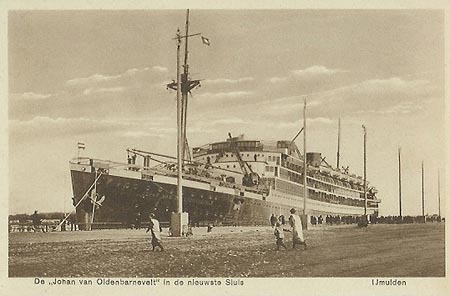 Postcard of Johan van Oldenbarnevelt, at the Ijmuiden locks. Postcard of Johann van Oldenbarnevelt. Delightful colour photographic card of Johan van Oldenbarnevelt by CT Publishing (serial number 036). She is shown arriving at New York in the mid 1950s. 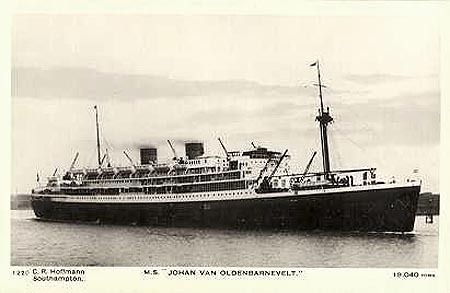 Official Nederland art card of Johann van Oldenbarnevelt, after rebuilding for round-the-world service in 1959. 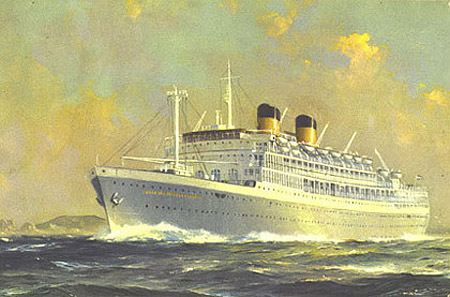 Official Nederland photographic card of Johan van Oldenbarnevelt, after rebuilding for round-the-world service in 1959. Modern art card of Johan van Oldenbarnevelt, published by Bos, Ridderkerk (serial 90268). 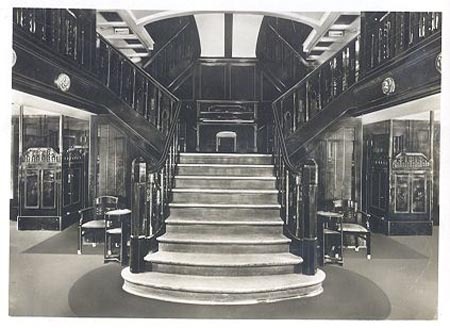 Official Nederland Line postcard of Johan van Oldenbarnevelt interior, showing the 2nd Class stairway. 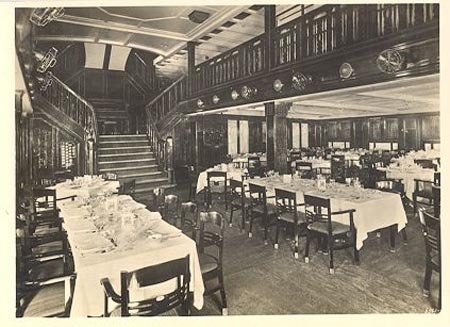 Official Nederland Line postcard of Johan van Oldenbarnevelt interior, showing the 2nd Class dining saloon. 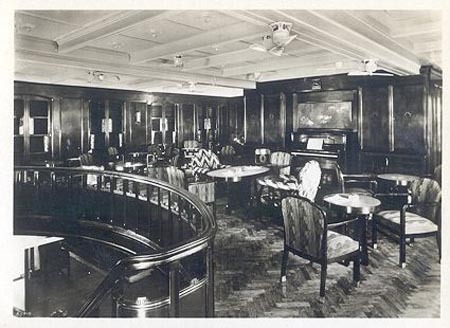 Official Nederland Line postcard of Johan van Oldenbarnevelt interior, showing the 2nd Class music saloon. 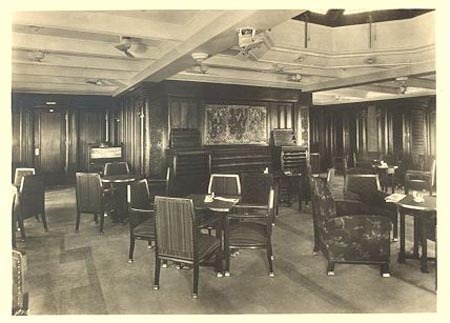 Official Nederland Line postcard of Johan van Oldenbarnevelt interior, showing the 2nd Class smoking saloon. 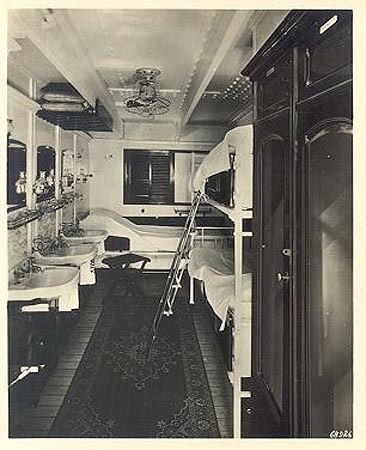 Official Nederland Line postcard of Johan van Oldenbarnevelt interior, showing a 2nd Class cabin. Built for the Nederland Line in 1930 as Johan Van Oldenbarnevelt. 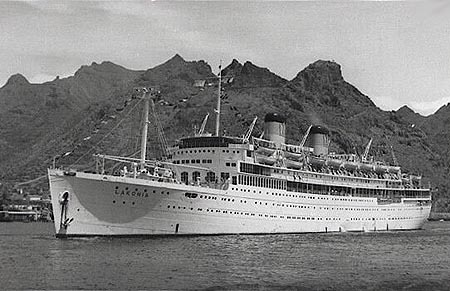 she was bought by the Greek Line in March 1963 and renamed Lakonia. 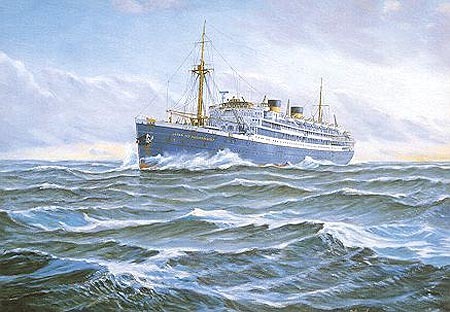 In December of the same year she caught fire on a cruise from Southampton, and was abandoned with the loss of 128 lives. She later capsized and sank. 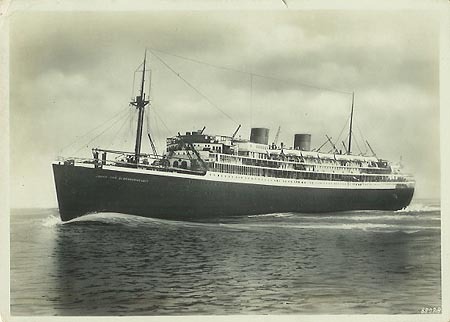 Greek Line postcard of Lakonia.